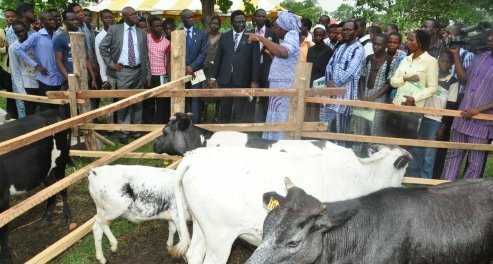 As one of the steps to internationalise the Federal University of Agriculture, Abeokuta (FUNAAB), Staff have been enjoined to visit some of the past events of the University on the Internet and comment. A release signed and dated November 13, 2012 by the Director, Centre for Internationalization and Partnerships (CENIP), Dr. Akeem Oyekanmi informed that staff can view the existing sites through Google, YouTube or Wikipedia. Click on any of the event and e-mail or inform your friends around the world. Then click on “University of Agriculture, Abeokuta-Wikipedia”, you can read, edit and modify in order to contribute to the process of putting the University on the world map. For further enquiry, contact the Director, CENIP on e-mail: cenip@funaab.edu.ng or visit the website of the International Scholars’ Resource Centre.